Crest Complete® Whitening + Scope Toothpastes promote a clean mouth and help get rid of bad breath, giving you the spark you need to be socially active. They provide social chemistry as only Crest and Scope can; the perfect balance of clean and fresh that empowers you to throw caution to the wind and throw a little bit of Friday night into a plain ol' Tuesday. When the right forces come together, they create a spark that makes everything just a little bit more exciting. 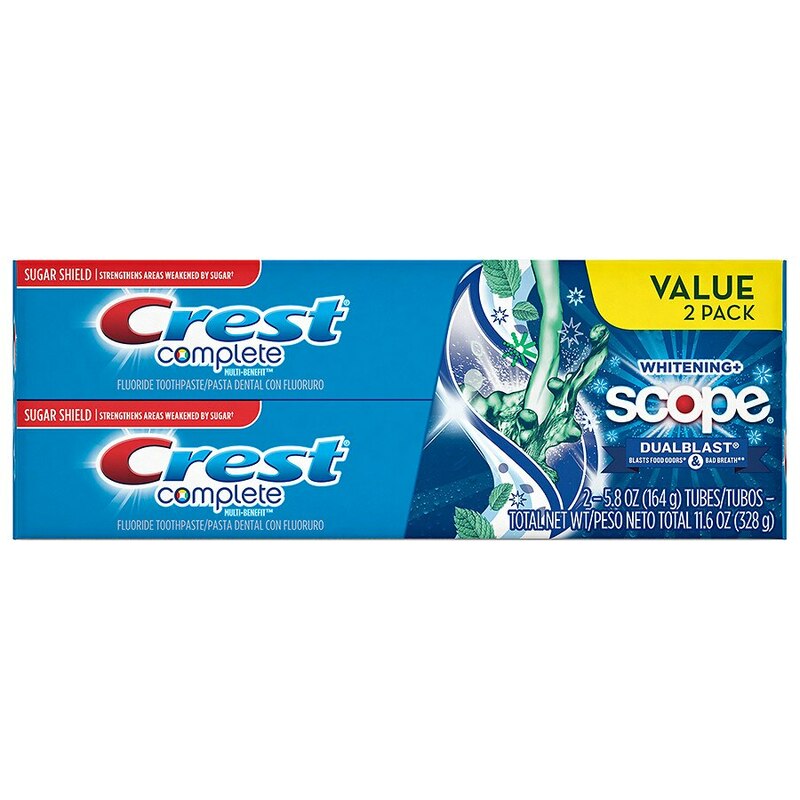 Crest Complete Multi-Benefit Whitening + Scope DualBlast Toothpaste uses its spark to help relegate bad breath as a thing of the past by helping to fight 2 main causes. It helps blast away bad breath germs* and eliminate strong aftertastes like onions and garlic, leaving you with nothing but confidence. Crest & Scope: Some Things Are Just Better Together. When Crest toothpaste combined with Scope mouthwash, the spark was undeniable. Nowhere else can you experience the clean and teeth whitening you expect from Crest Complete with the added zing of Scope freshness. It is the perfect chemistry that allows you to find the spark in every situation. You Have a Twice-Daily (at least!) Date with Your Toothpaste. Why Settle for Boring & Ho-Hum? Toss some excitement into your brushing experience when you use the only toothpaste line that creates social chemistry while whitening teeth, helping to get rid of bad breath and fighting cavities. And that chemistry gives you the confidence to transform even a so-so gathering into a can't-miss event.